Human body is really a miracle! But this miracle is only viewable to those who possesses the soul vision to see it. Eyes are one of the precious gifts which let us see this beautiful world. Eyes are considered as the window to our soul. These are present just beneath our forehead as left and right. All the meditations, inert energies, sub-conscious memories etc all are the things for which our eyes are like a desktop! In the present date, 8 of 10 persons are suffering from eye disorders,. Glaucoma, cataract, blindness, short-sightedness, night-blindness etc some of these eye disorders. Some are really dreadful that makes us suffer whole life! It’s a very unfortunate thing when a person looses his sight; or gets some incapability to see this beautiful world! Actually, physically its looks very small but is a great mishap to be happening. Well, here we will be talking about an eye disorder/inflammation which is called “Stye”. Many of you must not be knowing about this; have a look on our following description. Monsoon season has arrived; it brings lots of showers, rainbows and greenery with it. In addition it also brings several seasonal ailments and inflammation with it. Mostly, these affects those guys who lacks strong immunity and healthy body. Here, our concerned topic is ‘Stye’. 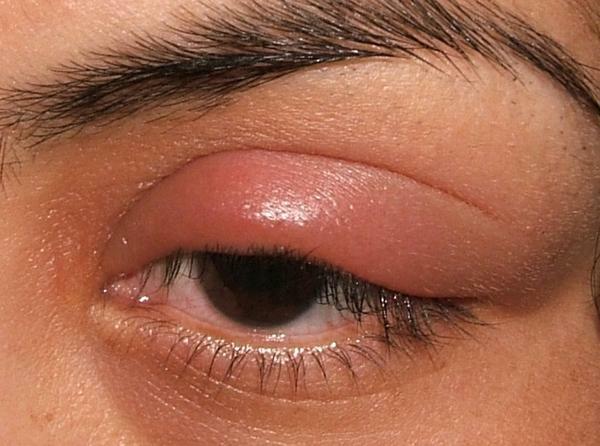 It is an eye inflammation where swelling occurs on the edge of the eyelid. It is can also occur on the lower eyelid or inside the lid. It is a kind of painful lump which is filled with pus. Styes are usually caused by Staphylococcus bacteria. It usually lives on our body surface; when the condition turns right it starts getting inflamed. Appearance of redness in eye. 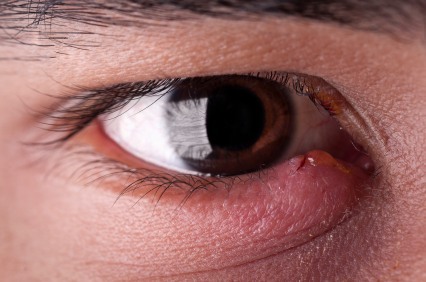 As described above, stye is caused by bacterium called ‘Staphylococcal’. It is a cocci category of bacteria which causes such infections. Stye results from an infection of the hair follicles. It may also result from blocking of the gland by dirt due to error of refraction. Recurrent styes occur because the infection is spread from one hair shaft to another often by the patient rubbing to relieve itching. The real cause of styes is the toxic condition of the system brought about by wrong feeding habits, especially consumption of foods such as white bread, refined cereals, boiled potatoes, pies, pastries, puddings and other confectionery items. One should stay with proper hygiene especially during winter and monsoon times. Regular hand wash is necessary to keep away all such bacterial infections. Keep your eyes clean always; water splash in eyes for 3-4 times a day keeps away all kinds of ophthalmic diseases. Warm-up you palms and put it over the eyes; it relaxes your eyes. Well, in most of the cases styes gets treated itself. It takes 2-3 days for treatment. Whereas in allopath, several antibiotics and other medications are given for the treatment. Many ointments are also available for these. 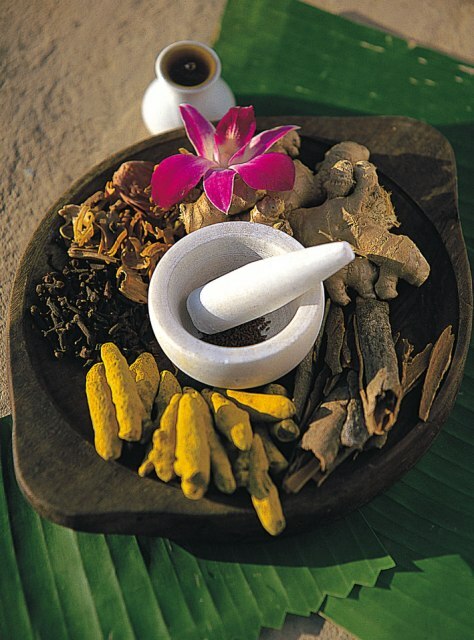 Well, our concerned topic is Ayurvedic remedies for Styes. Take a cotton cloth-piece and dip in warm water. Apply this and rub gently over the affected area. It flattens the inflamed area easily. Patient should be placed on an exclusive diet of fresh fruits and veggies itself. The seed of a date rubbed with water can also be applied over styes with beneficial results. One should not press the styes as it can get much worst due to that. Patient should also perform eye-relaxation like moving the eyes gently up and down, from side to side in a circle, clockwise and anticlockwise rotating etc. Palming reduces the strain and relaxes the eyes and its surrounding tissues. Fruits such as pineapple, pear, peach, papaya, orange etc must be included in the patient’s diet. Patient’s diet should be light and clear included with grains, nuts, cereals etc. Morning dew is a very good remedy. Take the dew fallen on leaf and apply over the lids; it works immensely. One can also apply ghee cooked with cinnamon, bay leaves and lemon. It acts as a skin disinfectant and cleanses the area. If the stye is on upper eyelid then apply the paste of turmeric and neem on it. It works very nicely. Precaution:- Keep in mind, stye gets cured only after it bursts and the pus inside comes out. This time one needs a first aid. When you see the pus popping out then gently press it and as it comes out take a cotton with some dettol liquid in it. Clean the area and press it so that all the residue comes out. You will even notice some blood coming out; it will stop as you will wipe it. If the stye is large and on the upper eyelid then apply some medicated powder over it. It will be cured in few days. So, in this way we saw how this disease ‘stye’ can be cured using herbal methods. Well, one should stay conscious and healthy so that he/she avoids all kinds of ailments and maladies. So, take care and live well! The cloves approach is so interesting. It definitely generates heat and is similar to putting on a warm rag. Very helpful information. Thank you.